Homepage > Is this the remains of a stone circle site at the portal? TOP PRESS! 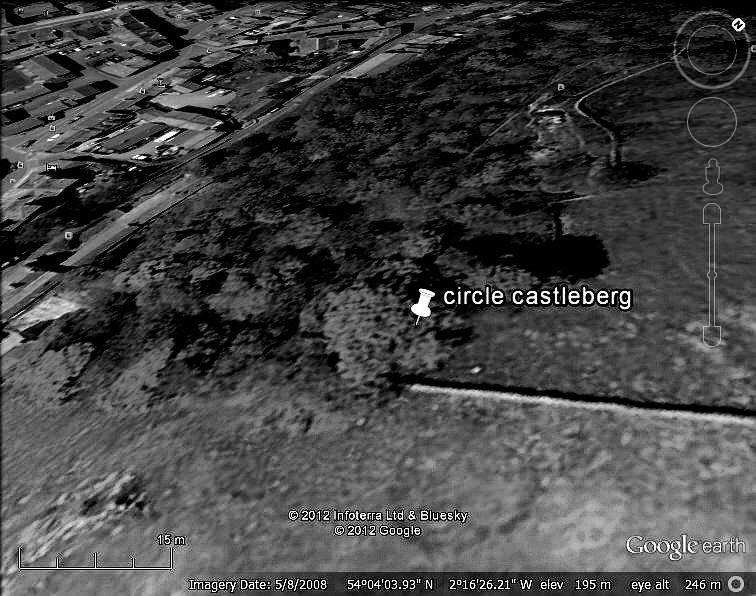 Using google Earth imaging Nigel Mortimer has found ground traces which indicate that a stone circle embankment may be visible close to the horse shoe portal site in the nearby Castleberg Woods. A site visit is intended asap to confirm the outcome of this, so watch this space!